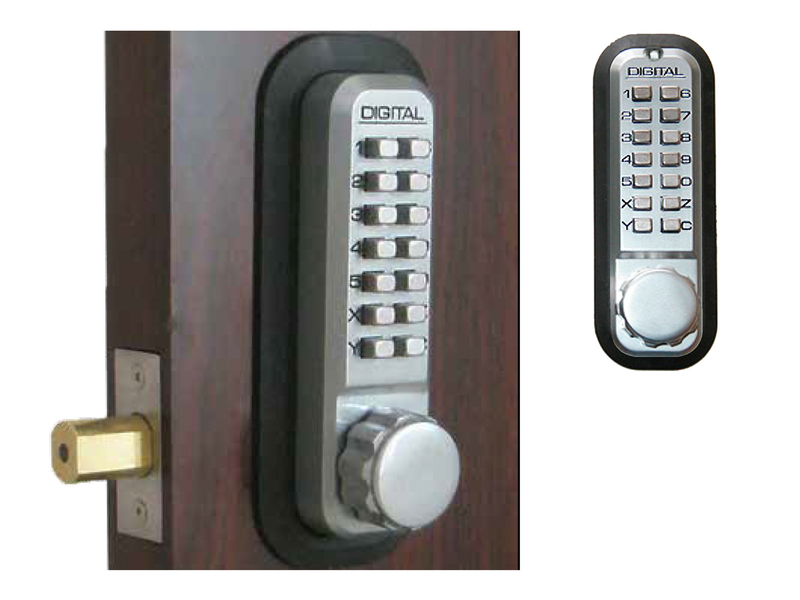 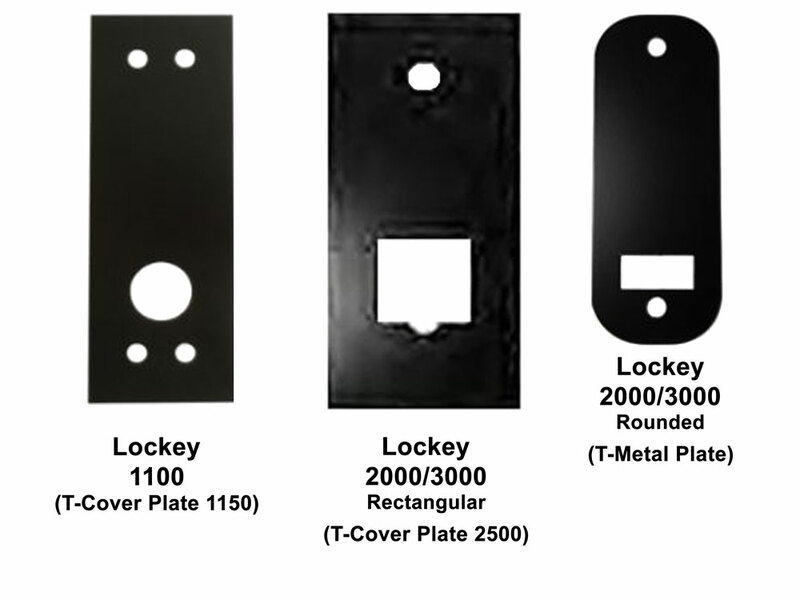 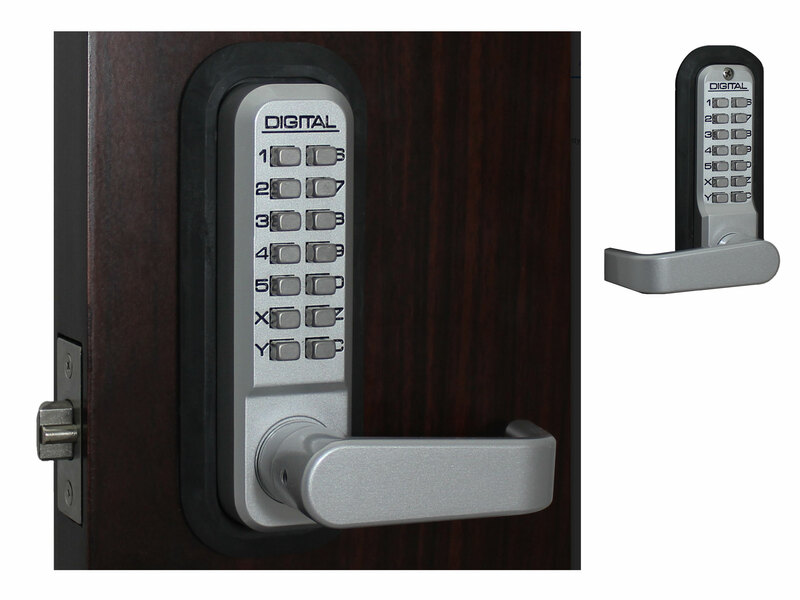 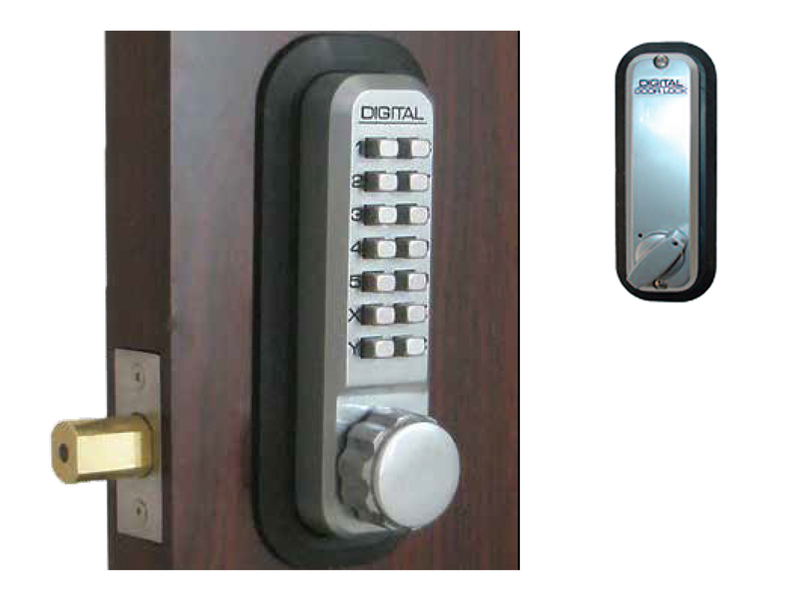 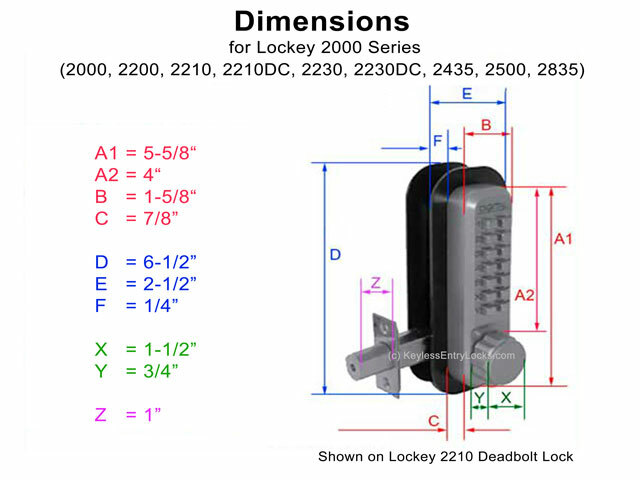 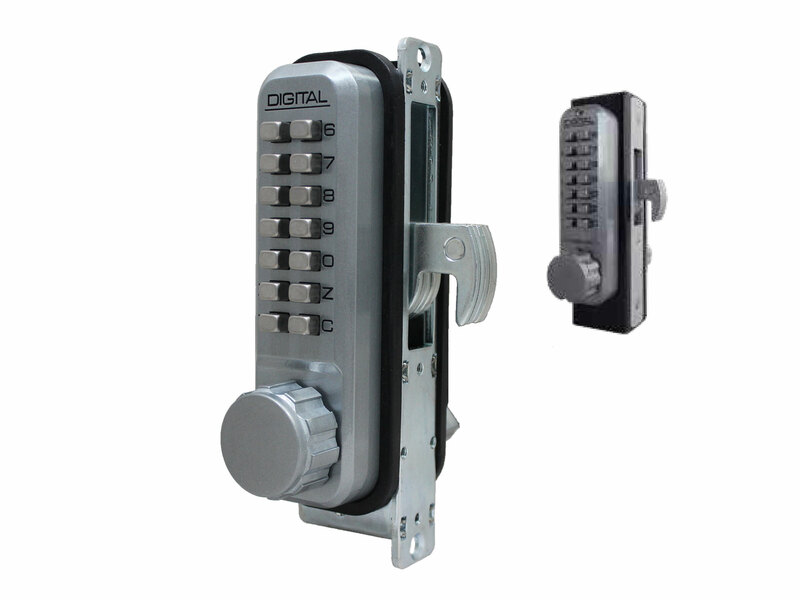 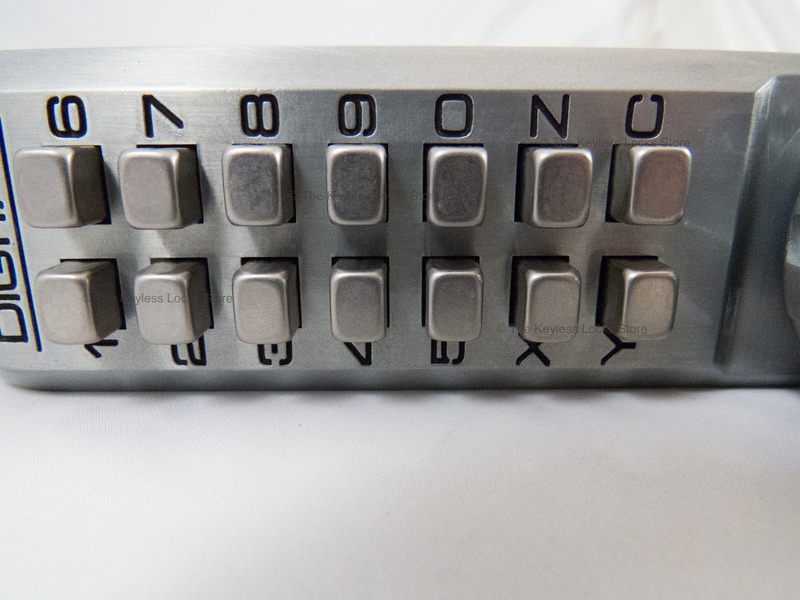 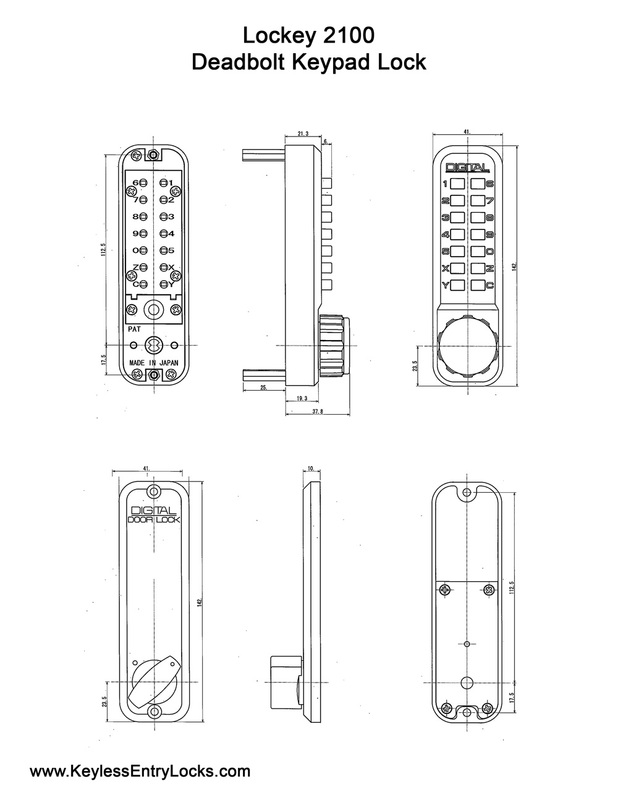 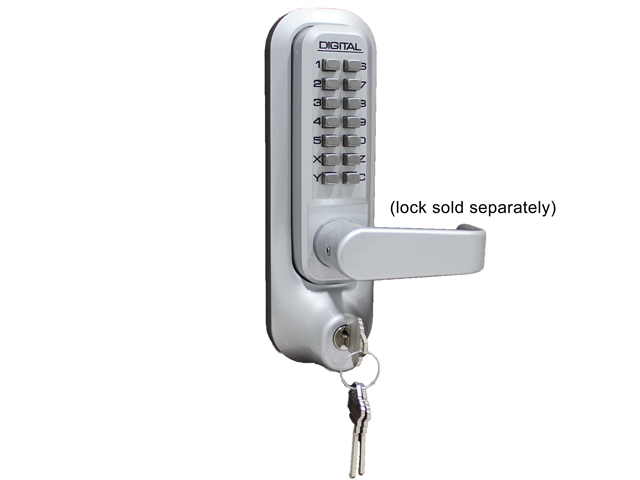 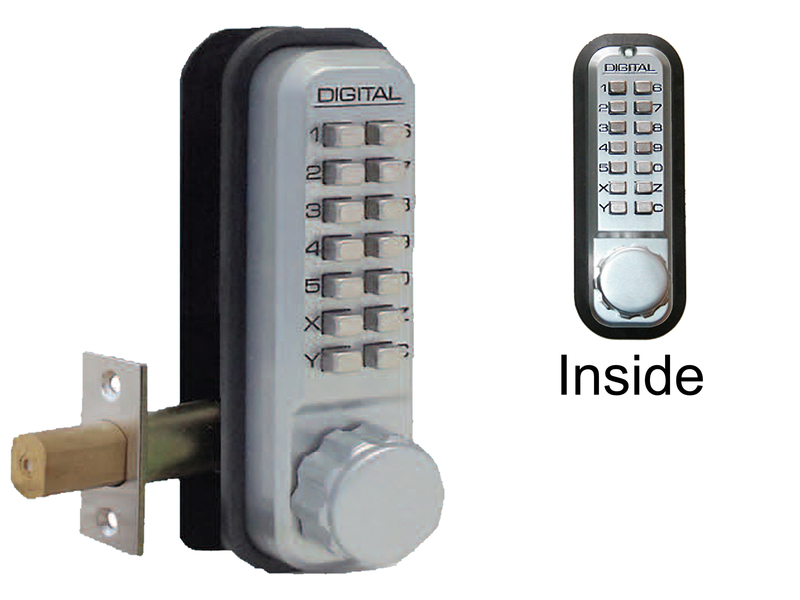 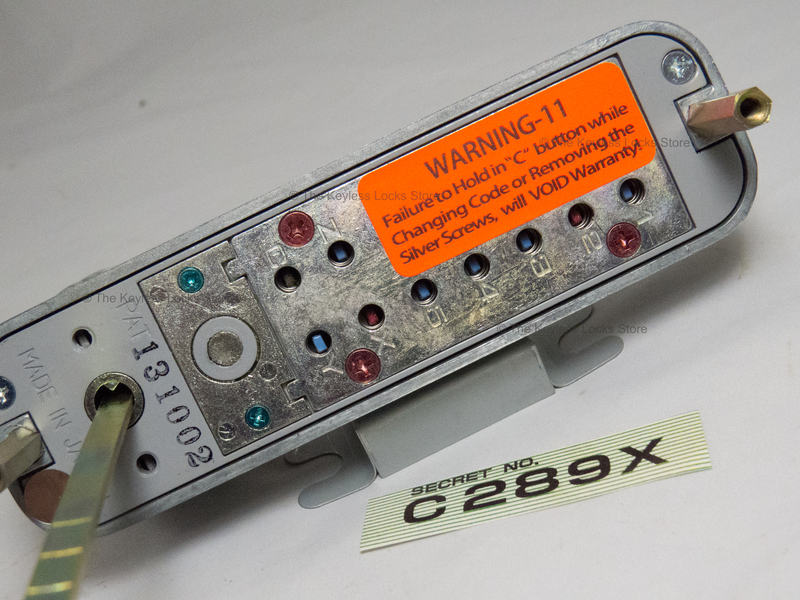 The Lockey 2210DC is a double-sided deadbolt keypad lock that provides the maximum security of a unpick-able lock along with the total reliability of a mechanical deadbolt lock. 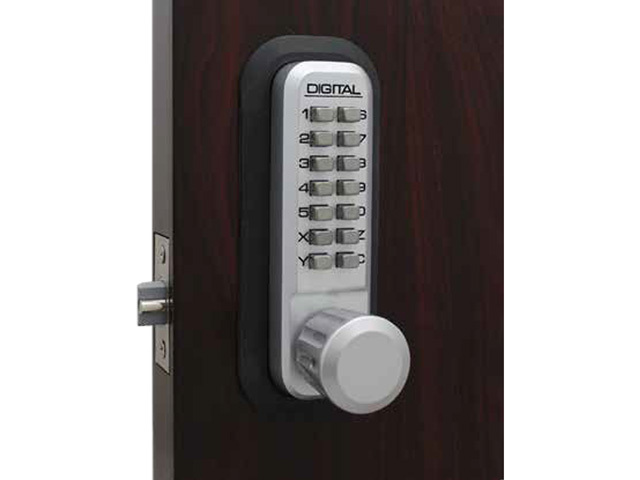 This deadbolt keyless lock features a built-in deadbolt with a free-spinning stainless steel core shaft that cannot be cut. 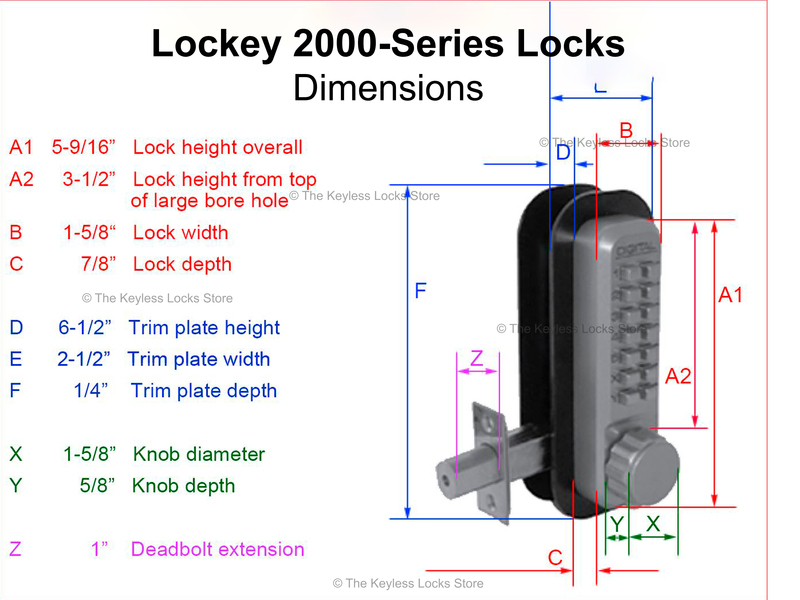 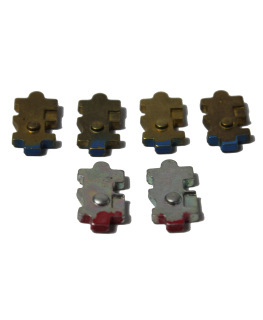 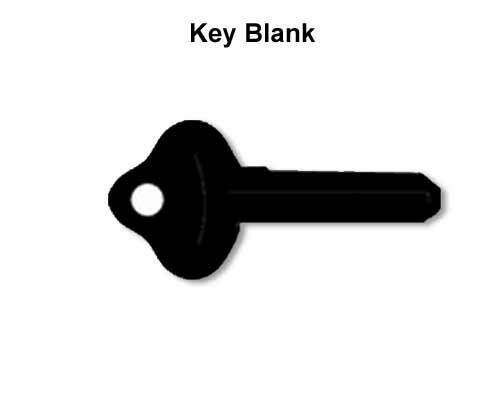 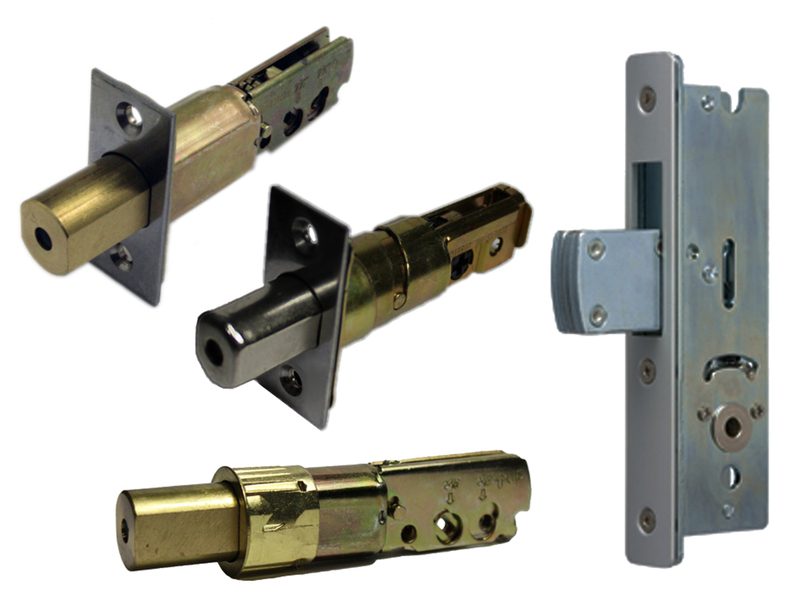 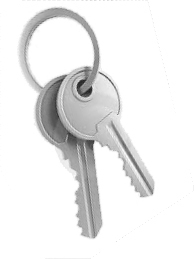 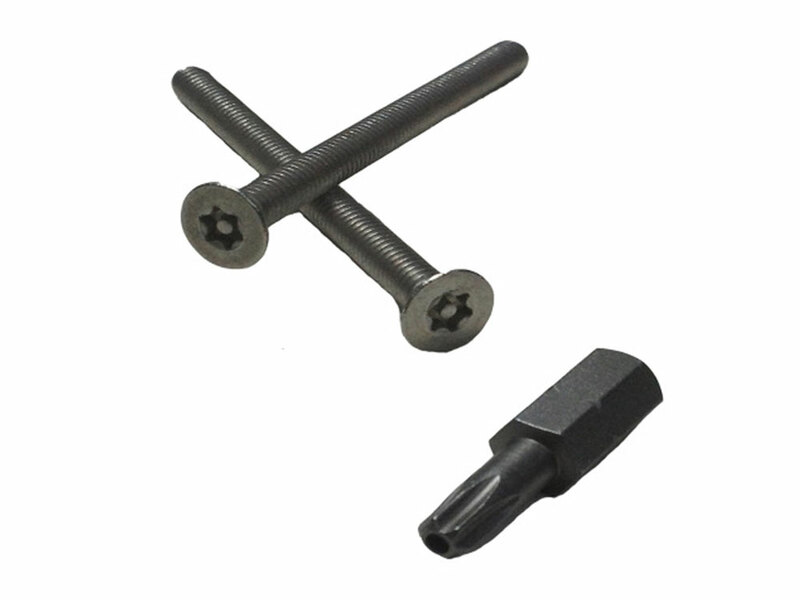 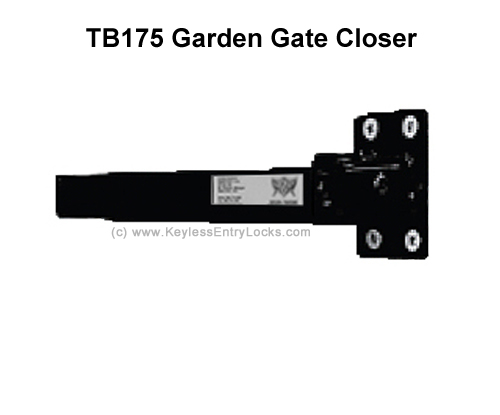 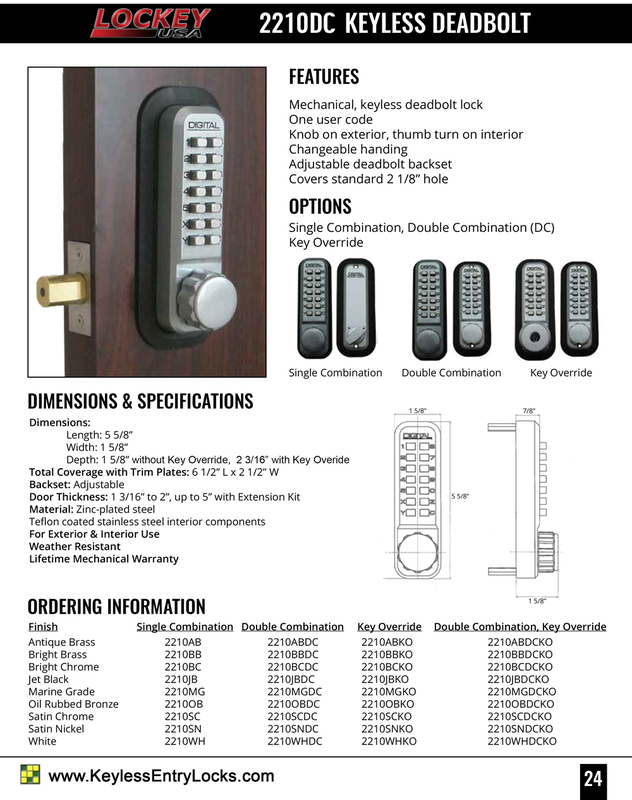 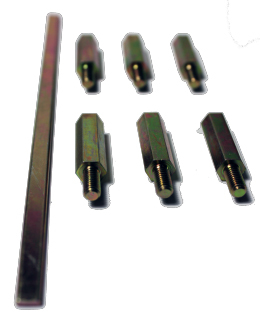 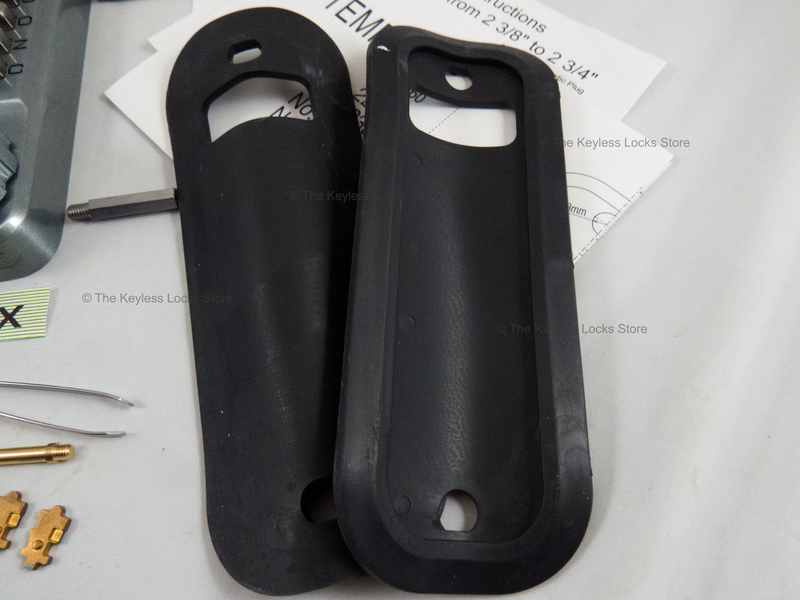 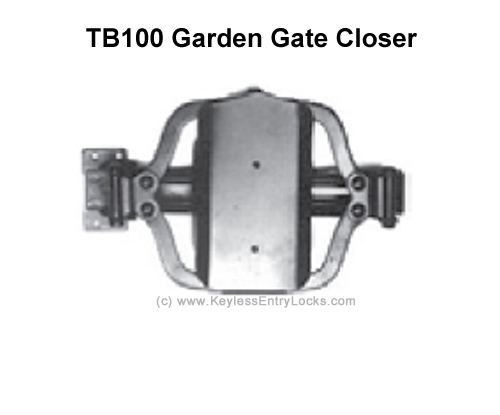 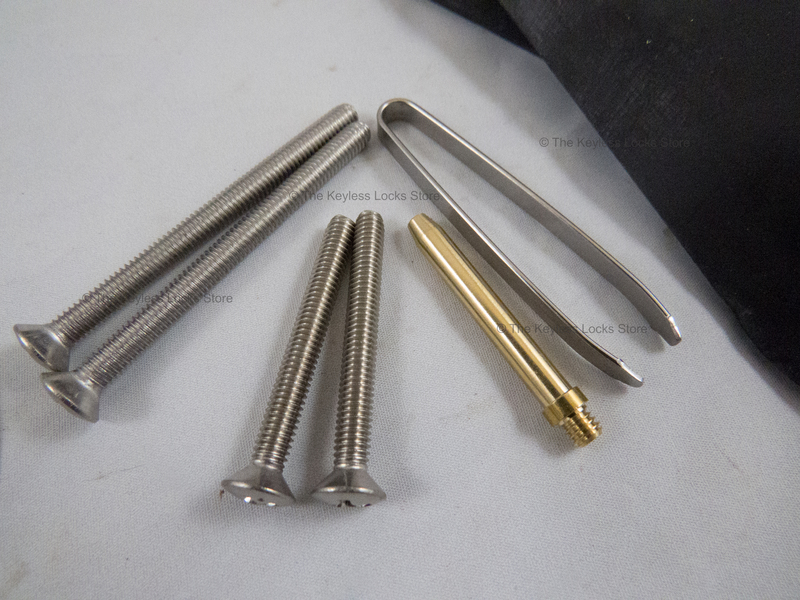 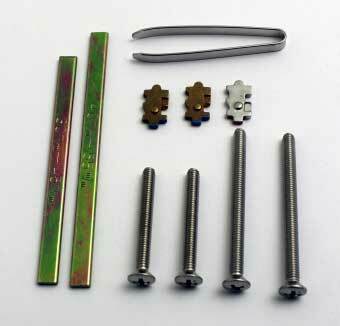 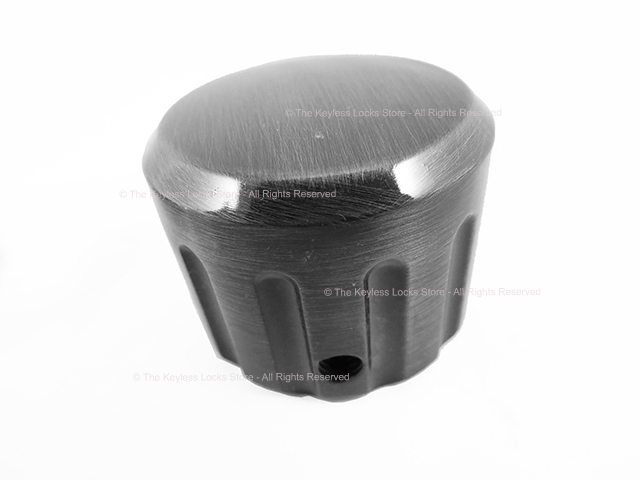 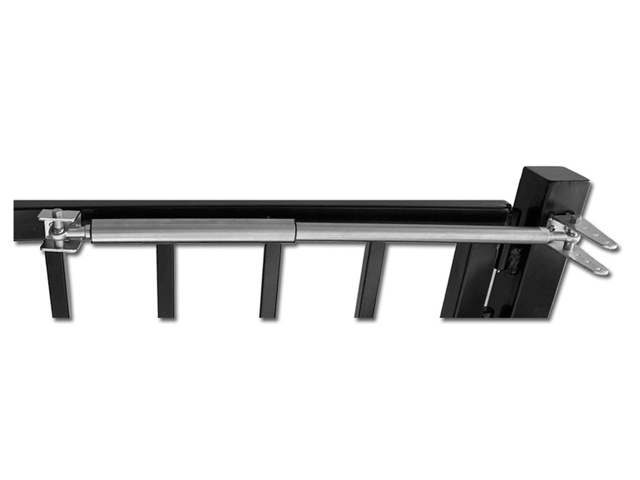 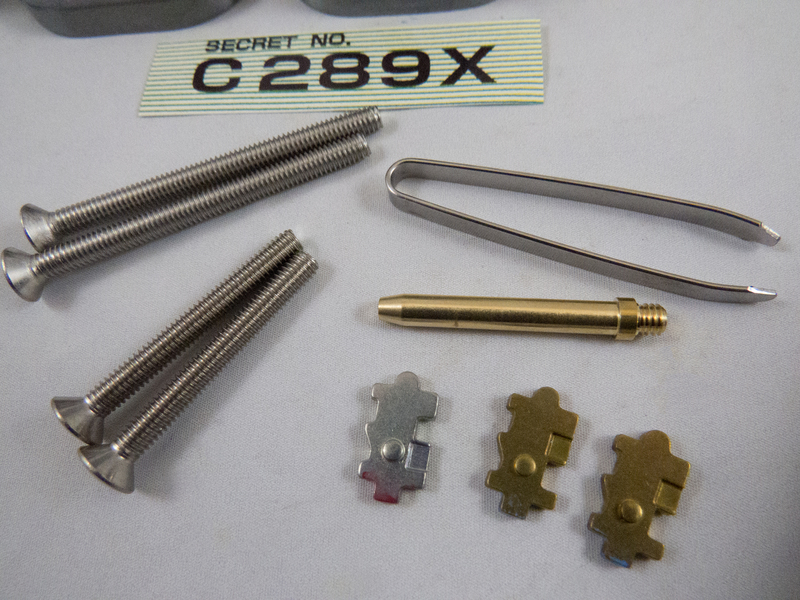 LOCKS FOR ...: (economical locks designed for residential/light commercial use with fewer features, fewer users, and light traffic); (locks that are designed for exposure to ocean or road salt; (weatherproof locks for gates with rectangular (not round) posts like on sheds, barns, and other structures, etc.). 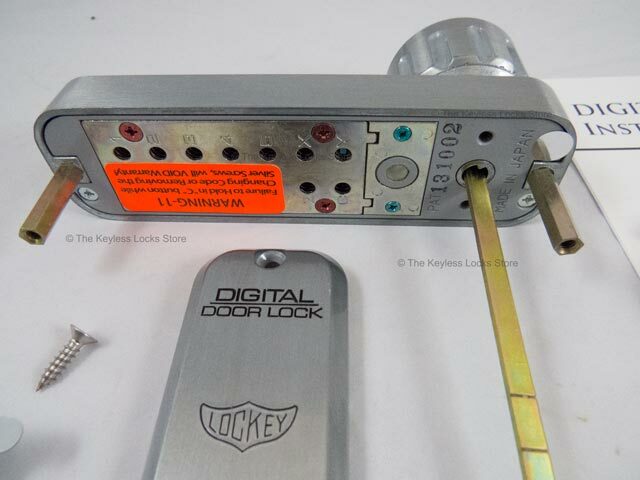 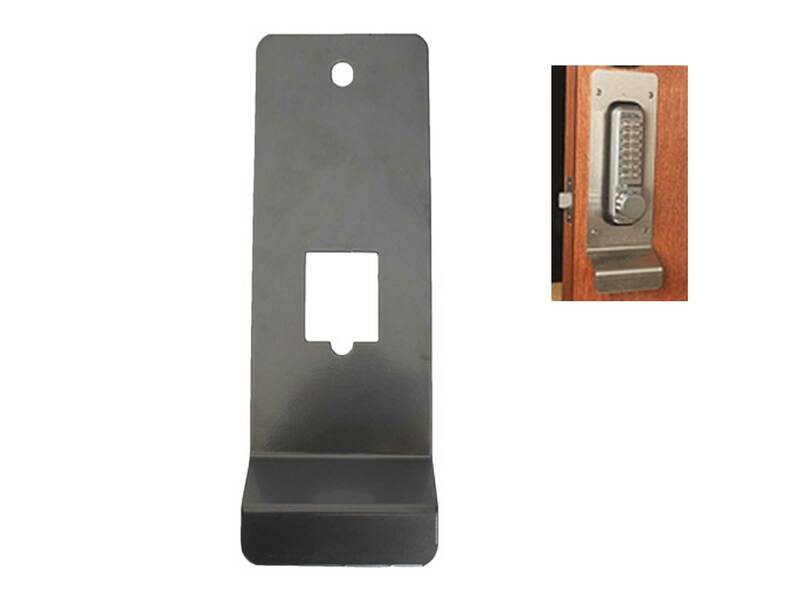 To install this deadbolt keyless lock underneath an existing deadbolt, allow at least this distance from the bottom of the existing deadbolt to the middle of the large hole for this lock.